The great Black Death has come to you in the Middle Ages, ravaging everyone you know. A Plague Doctor visits you. Can you trust him, or will you be next? Infected is a quick, strategic, secret role, semi-cooperative social game using logic, deduction, and skill. One of the party is a Plague Doctor, spreading the Bubonic Plague. The Villagers need to find and rid themselves of the evil doctor before they succumb to the greatest plague in history. Players will try to vaccinate their fellow Villagers in their quest to gather information and protect each other, while finding the Plague Doctor. If you are the Plague Doctor, you’ll try to spread the disease as quickly as possible so that you are the lone victor. 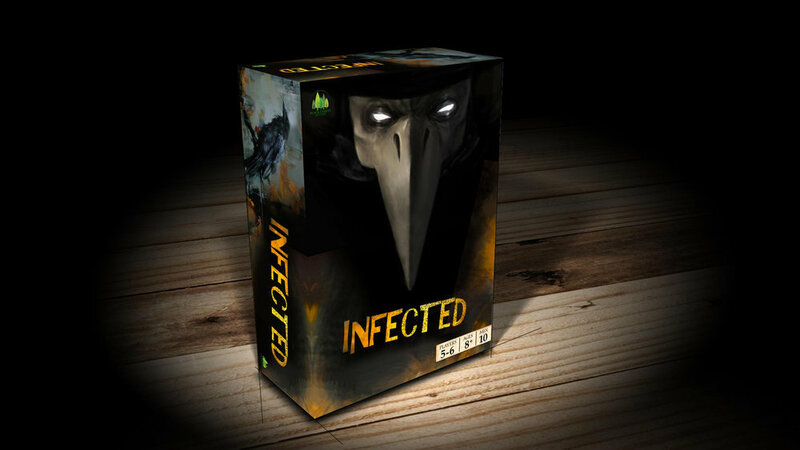 Do you have what it takes to survive the worst of the Bubonic Plague, or will you be next to become Infected? A painted Plague Doctor miniature. The miniature comes in the game unpainted. FBROTHERS.com did an amazing job with this one! INFECTED images. Check them out - don't be afraid.